Home USA Online Casino News Legal Does Federal Legislation Open the Door to Sports Gambling in California? Does Federal Legislation Open the Door to Sports Gambling in California? 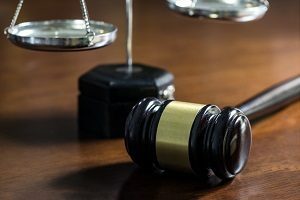 The state of California has been debating an issue within the confines of the legislature ever since the Supreme Court decided to strike down the bill that banned sports gambling nationwide in May. California legislators are wondering after looking at the Supreme Court ruling whether or not they can begin offering sports gambling at their casinos and racetracks without needing to pass state legislation, and instead wait on federal guidelines. While no one knows, for sure, what the ruling means in terms of sports gambling and federal legislation, California is debating on the issue. When the Supreme Court struck down the Professional and Amateur Sports Protection Act in May, it struck down a 26-year-old law that many people never expected to see fall. The PASPA was designed to ban gambling in all of the states (except Nevada) for single sports betting. Congress was concerned that gambling would ruin sports, and there had been scandals involving sports gambling in the past in basketball, baseball, and football. However, with computer technology, and the advances in tracking betting patterns, it is more difficult to cheat than it was in 1992. That is not the reason the court struck down the bill, however. The court struck down PASPA because the state of New Jersey argued that it was against the Constitution. The Constitution explicitly stated that the federal government was allowed to regulate commerce between states and countries. States had the power to regulate its own commerce within its borders. This ruling opened the door for states to decide to legalize sports gambling. So far, California has not been one of the handfuls of states to legalize sports gambling directly. Mississippi, New Jersey, Nevada, Pennsylvania, Delaware, West Virginia, and Rhode Island have all legalized the practice. While these state legislators decided to go ahead and legalize gambling in their states, California decided to hold back. The legislature in California passed a bill in 2017 that said the state would legalize sports gambling, but they were waiting on the federal government to develop guidelines for sports gambling first. California legislators felt that now, sports gambling was operating without guidelines, and the state wanted to be sure when sports gambling was offered, it would be done within a set of rules. Some California gambling businesses wondered why California could not go ahead and act, especially since they have already missed the lucrative NFL and NBA seasons. 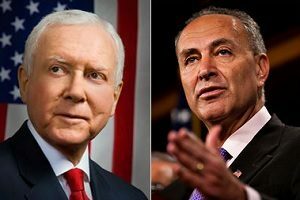 Two senators, Hatch and Schumer, have introduced legislation that will allow the federal government to put in place some guidelines for sports gambling. The two senators introduced a bill that would regulate sports gambling, which would give states an umbrella of guidelines. The guidelines would go into effect only if the state legislators decided to pass a bill that legalized sports gambling in a particular state. Not only do states like California seem to want federal legislation, but professional sports franchises do as well. For example, the PGA Tour, which is very popular in California, has stated that they feel federal legislation would be best to ensure the integrity of the sport. One of the reasons many professional sports clubs want federal legislation is because they would rather have federal guidelines to cover sports gambling across the country rather than a patchwork of laws that would change from state to state. If federal legislation is passed regarding sports gambling, it is safe to say that California would be open to sportsbooks statewide. This would be good news to the legions of professional sports fans across the state, who really wants to participate in their favorite sports through gambling on the odds of their team or golfer winning it all.